An active community leader, Doug has helped sponsor several music conferences, festivals and clinics. A completely versatile player -- Doug is regarded as one of the hottest jazz improvisors in the city, but he's also an accomplished classical musician, and one of the strongest lead players in the city. 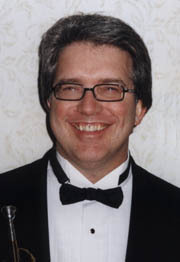 After a short career as a band teacher in the Edmonton Public School system, Doug established his own business, Zimmerman Insurance Brokers, but remained active on the music scene. 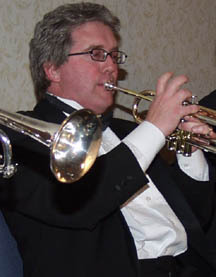 Doug has played with several of the top bands in the city, including the East Side Jazz and Polka Band, The Brinkman Bothers, GMCC Outreach Band, Neil Corlett Big Band, River City Big Band, and the Tommy Banks Orchestra.